Looking to increase workflow without driving up production costs? Problematic labor replacement, including the elimination of repetitive motion risks while allowing stacking of square and stable loads to full height to minimize freight costs. 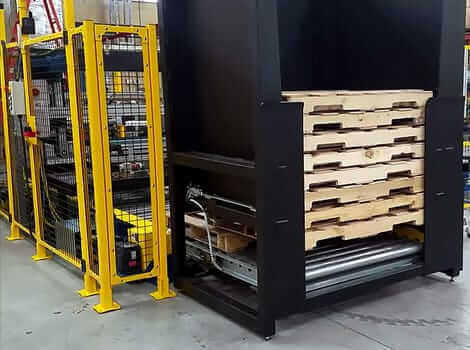 Compact, mobile footprint fits into existing tight spaces, typically taking up only as much space as is already used for manual palletizing. Modular flexibility to dramatically minimize hassle and ensure optimal project customers, and limit use of unnecessary technical resources. Financial incentives realized in as little as one year. A PALLETPOD lease or rental can immediately lower costs for 1-shift, 2-shift, and 3-shift operations. One of the hardest parts of improving the performance of your facility is finding the right technology that fits your space, budget, and production requirements. 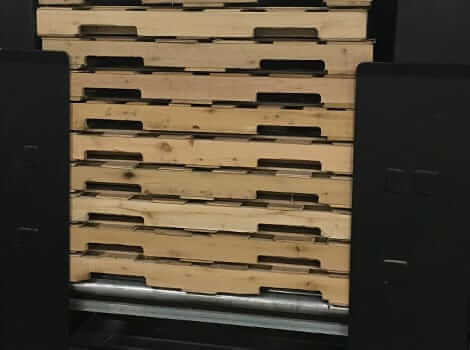 With PALLETPOD, you’ll be able to perform at an exceedingly high level without disrupting the area you operate in while cratering to your budget for the year. 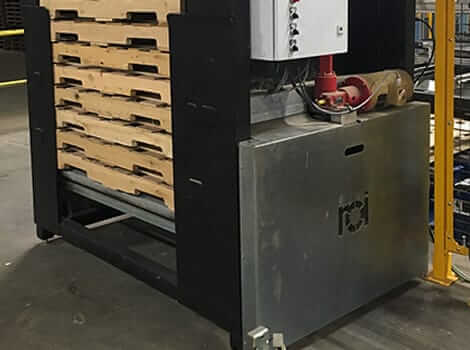 Replace cost-increasing inefficient manual labor with the PALLETPOD and pallet dispenser for ROI—our job is to continually find exciting ways to make your production easier. With our high-quality automated product suite, we’ve done just that. Find out how ROI can make things simpler for your facility, and reach out to our dedicated team today.